Clearly organized and accessible, this comprehensive new textbook provides students with a thorough grounding in the analysis of syntactic structure using data from a typologically wide variety of languages. The book guides students through the basic concepts involved in syntactic analysis and goes on to prepare them for further work in any syntactic theory, using examples from a range of phenomena in human languages. 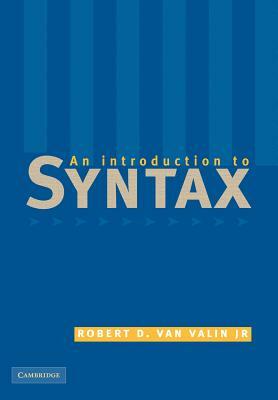 It also includes a chapter on theories of syntax. Each chapter includes generous exercises and recommendations for further study.